At St. Andrews Old Course, 7,307 yards, par 72; Kingsbarns Golf Links, 7,227 yards, par 72 & Carnoustie, 7,345, par 72 – Thursday October 6th to Sunday October 9th This week, the European Tour returns to the ‘Home of Golf’ as the 16th edition of the ‘Alfred Dunhill Links Championship’ gets underway, a favourite amongst Tour professionals and amateurs alike. 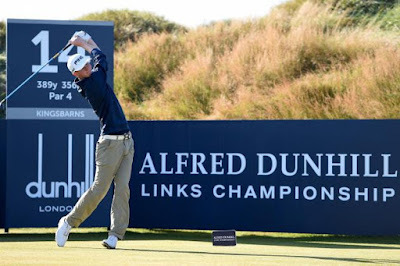 Celebrating links golf at its finest, the tournament is played over three of the world’s best known and respected links courses – the Old Course at St Andrews, Carnoustie and the highly regarded Kingsbarns Golf Links. For this event, I shall also be in attendance, and for that reason I have included a few extra selections than a normal week, to keep things interesting for me while up there in bonny Scotland, however, the normal points structure remains firmly in place. The big names certainly come out to play at this unique tournament on Scotland’s east coast. As sports stars, entertainment icons and golf fans from across the world filter in to St. Andrews, the list of golfing stars is one to be matched. Current Masters champion Danny Willett headlines the event, with Spaniard Rafa Cabrera Bello, who currently sits fourth in the Race to Dubai rankings looking to add to his European Tour trophy cabinet after an impressive debut at the 2016 Ryder Cup. Belgium’s Thomas Pieters has been in scintillating form, claiming four of a possible five points at Hazeltine National. It has been a remarkable two months for the 24-year-old, with 5 a fourth-placed finish at the Olympics, a runners-up spot at the D+D REAL Czech Masters and a win at the Made in Denmark. Former winner Branden Grace, leading Irish golfer Shane Lowry and Andrew Johnston, now affectionately known as ‘Beef’, will also be joined by previous winners of the event in Martin Kaymer and Lee Westwood. Rubbing shoulders with the pros this week will be the likes of actors Hugh Grant and Andy Garcia, as well as cricketing legends Kevin Pietersen and Michael Vaughan. The event incorporates two separate competitions – an individual professional tournament for 168 of the world’s leading golfers and a Team Championship, in which each professional is paired with one of 168 amateurs, played over three courses. St Andrews - Over 650 years old, St Andrews last hosted The Open Championship in 2015 and is famous for its large undulating greens and exposed conditions, considered by many as links golf at its finest. Shaped by nature on a spit of land which juts into the estuary of the River Eden, it can be friendly on a calm day, then turn into a monster when the wind blows. 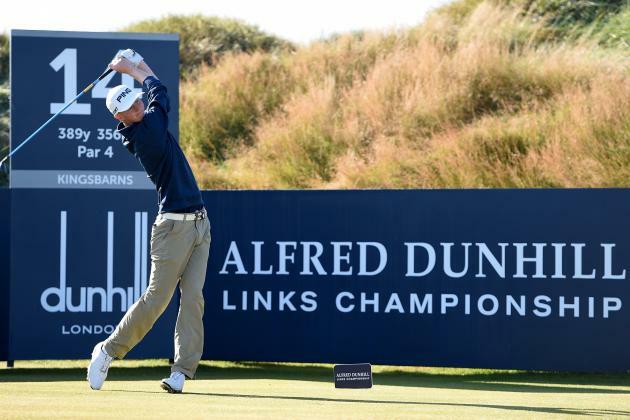 Carnoustie - Host of seven Open Championships and the Alfred Dunhill Links Championship since 2001, Carnoustie is known the world over as one of the toughest and most merciless links courses. A long course that is testing for the best when the wind blows, it provides a formidable challenge for any golfer. Kingsbarns Golf Links - Opened in 2000 and designed by Kyle Philips, the large undulating greens of Kingsbarns presents a number of scoring opportunities for all types of players. A mixture of flat and undulating surfaces across the 18 holes, it is an exposed links course with very few water hazards, yet a number of bunkers, with those who maintain accuracy from the tee to be rewarded. There are spectacular coastal views on a number of holes, including the third, 12th, 15th and 16th. Fresh from a stellar performance at last week’s Ryder Cup, securing honor’s as Europe’s leading points scorer, Thomas arrives here to an event where he has had previous success at, showing the ability to score on all three of the courses. So with confidence high, Thomas looks set to go close to his fourth European Tour title. Over recent years Bernd has been a regular fixture at the top end of the Dunhill Links leaderboard, finishing inside the top 14 places in each of the last three playings of the event; and with a 5th place and a 2nd place to his name in his last two events, it looks likes Bernd is coming into some great form to go close once again. The winner of this year’s Scottish Open and runner-up of the matchplay event also played in Scotland, Alex returns to Scotland clearly with positive vibes of the country. Finishing 3rd in this event in 2012, and having won the European Masters only 4 weeks ago, there are many reasons why it wouldn’t be a huge shock to see Alex making a bold bid for his third title of the season. For this event, you will see I have recommended the exclusive use of PaddyPower, as they are offering top 7 places at 1/5 odds. Thank you for all the messages and positive tweets about the continued success of the service. Hopefully some exciting times ahead, so keep the retweets going and spreading the word, all very much appreciated. 100 274.85 +174.85 33/1 place, 30/1 winner, 28/1 place, 14/1 place, 25/1 place, 50/1 place, 14/1 winner, 14/1 winner, 224/1 winning EW double!